Available in two sizes, Elite Series round air cleaners have an aluminum top with a durable, chromed steel base. Fits 5-1/8” diameter carbs. A black anodized knurled nut and PCV adapter are included. Designed to fit Edelbrock dual-quad, single 4-barrel or three-deuce set-ups, these oval air cleaners clear HEI distributors and stock parts. They come with high-quality 2-1/2” washable, pre-oiled cotton gauze filter for excellent filtration. The oval top comes in a natural, aluminum finish for custom painting. Dimensions for single 4-bbl. and dual-quad: 13-1/2” x 7”; three-deuce oval: 19-1/4” x 8-1/4”. 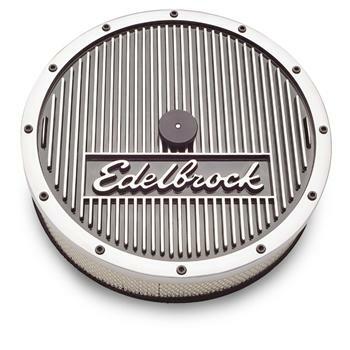 The Elite Series triangular air cleaner has a unique style reminiscent of the muscle car era. 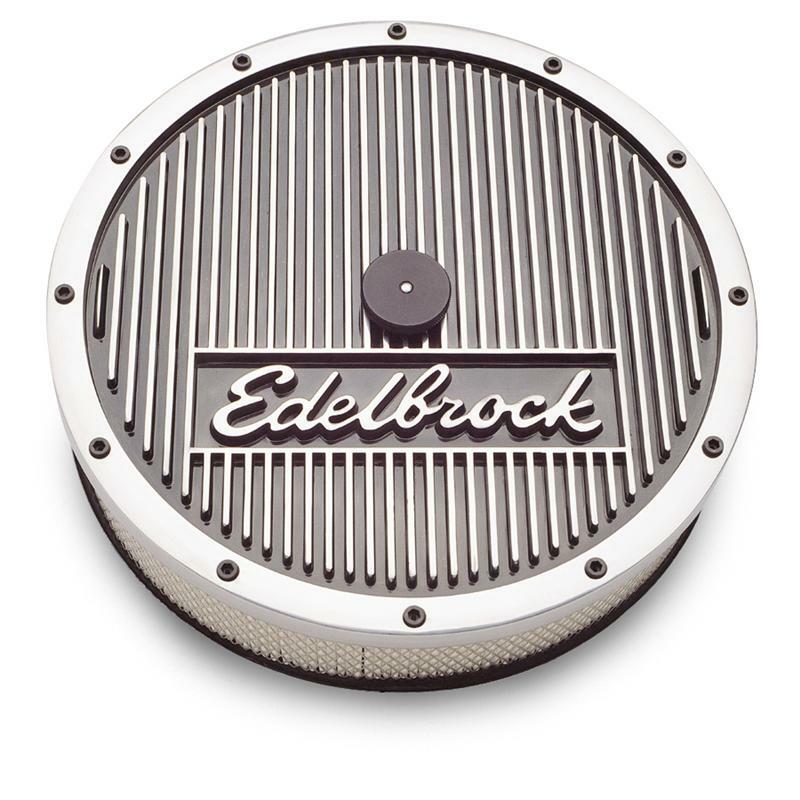 It has the Edelbrock name cast in aluminum and is designed for use with 5-1/8” diameter carbs (Edelbrock square-bore, Q-Jet, etc.). The height of the air cleaner is as low as possible for hood clearance and clears HEI distributors. Clears electric choke housing on Performer Series and Thunder Series AVS carbs. The pre-oiled cotton gauze filter can be washed and used again for excellent filtration. Air cleaner dimensions: 14-1/8” wide x 13-3/8” long.